A stairlift is a battery or electrically powered device that is installed on a stairway so those who have mobility concerns can safely ascend and descend their stairs. These devices help to prevent needless injuries caused by stairs and allow a person full access to all levels of their home. When shopping for these devices, there are 5 features of a stairlift or stair glider people should consider so they can be sure the type they choose will serve them well. 1) The first feature people should consider when choosing a stairlift is whether they want a battery powered or electric model. The vast majority of models are battery powered, allowing them to continue operating even when the main source of electricity is out. These units must be plugged in continuously so the battery remains charged and does not drain. Should the battery drain, it may need to be replaced. Batteries typically last three to four years, depending on how well they are maintained. 2) Swivel seats are also an important option to consider, yet they are not available on all models. A swivel seat moves to the side at the bottom or the top of the staircase for easy access. This feature is especially important for those who may be wheelchair-bound as it allows a wheelchair to be pushed right up to the seat so a person is able to get into the seat without risk of falling. 3) Folding seat options can be beneficial for many people since this allows the seat to become more compact while it is not being used. Many people prefer this option because it allows the seat to become less noticeable. When the seat and arms are folded, the lift does not take up as much room so it does not interfere with others going up and down the stairs in the home. 4) The controls of a stairlift or stair glider are crucial for proper operation. Different models offer different types of controls. Some models feature controls in the foot rest area. Other controls are found on the arm rests. Luxury models often have a hand held remote that allows for full operation of the lift. It behooves a person to carefully try out different control types to see which one will benefit them the most. 5) A person will also need to decide whether they need a standard seat lift or an industrial model. Standard lifts typically do not hold over 300 pounds while industrial models can hold 300 to 600 pounds. These bariatric models can hold much more weight so a person can be safely lifted no matter their weight. 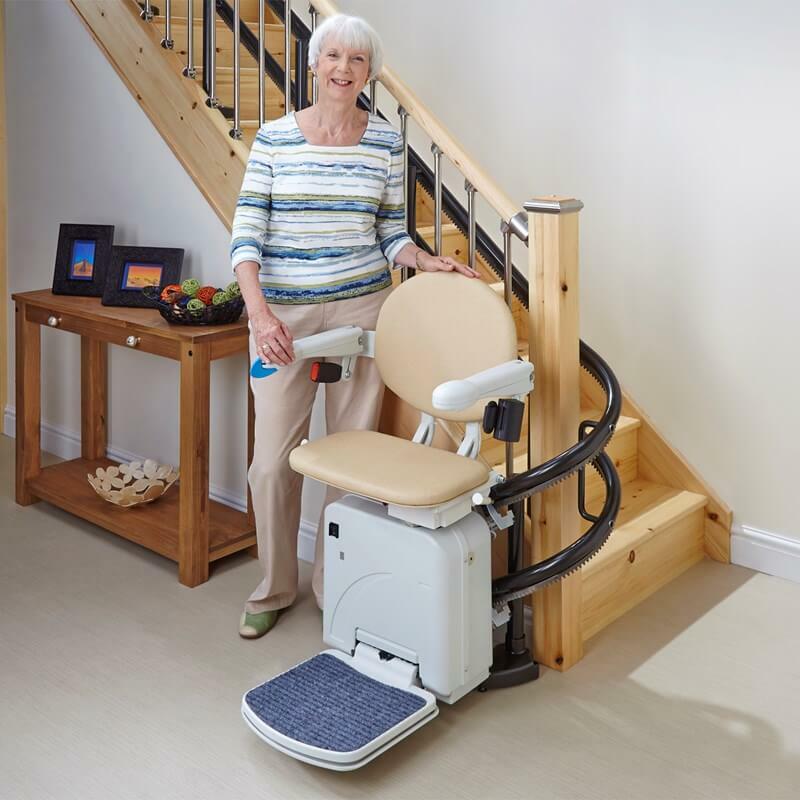 It is important people carefully consider these 5 features of a stairlift or stair glider to ensure they choose the right ones to meet their needs so they can use their stairlift safely and effectively, while feeling secure and comfortable.